Chicago Cubs first baseman Anthony Rizzo wore this blue Iowa Cubs button-down jersey in 2012. 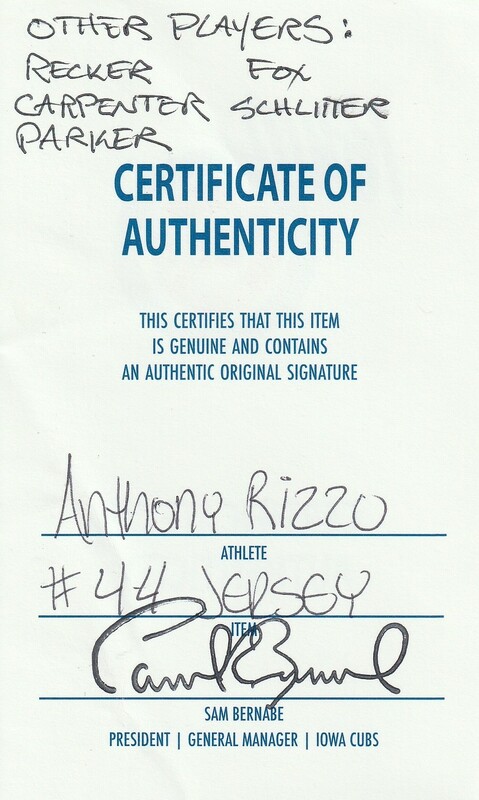 Rizzo, in his first season in the Cubs organization, hit .342 with 23 homers and 62 RBI in only 70 games with Iowa. 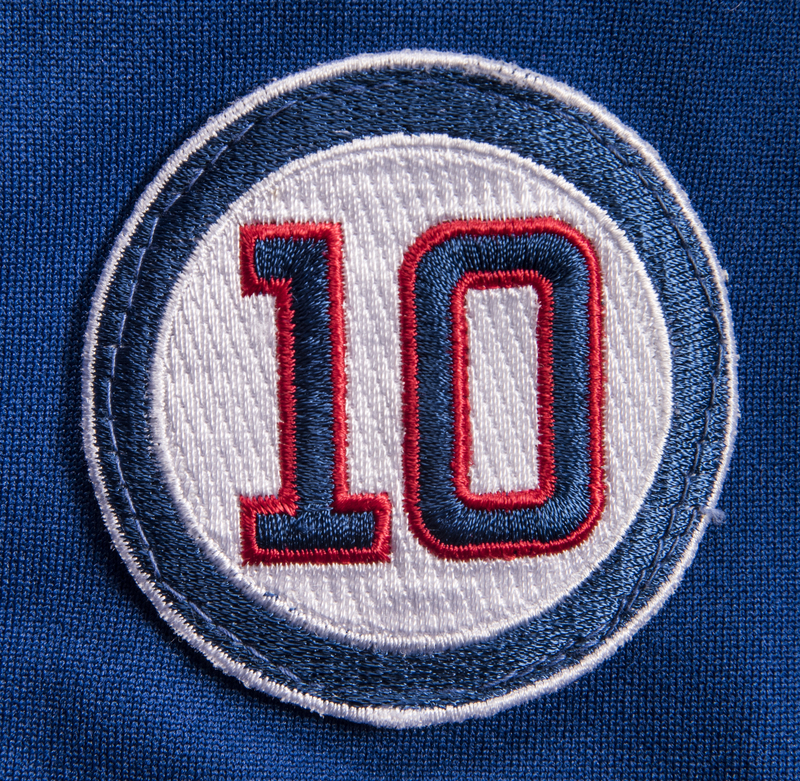 In the years that followed, Rizzo has become one of the most consistent sluggers in baseball, averaging 30 homers and 100 RBI per season from 2014 through 2018. 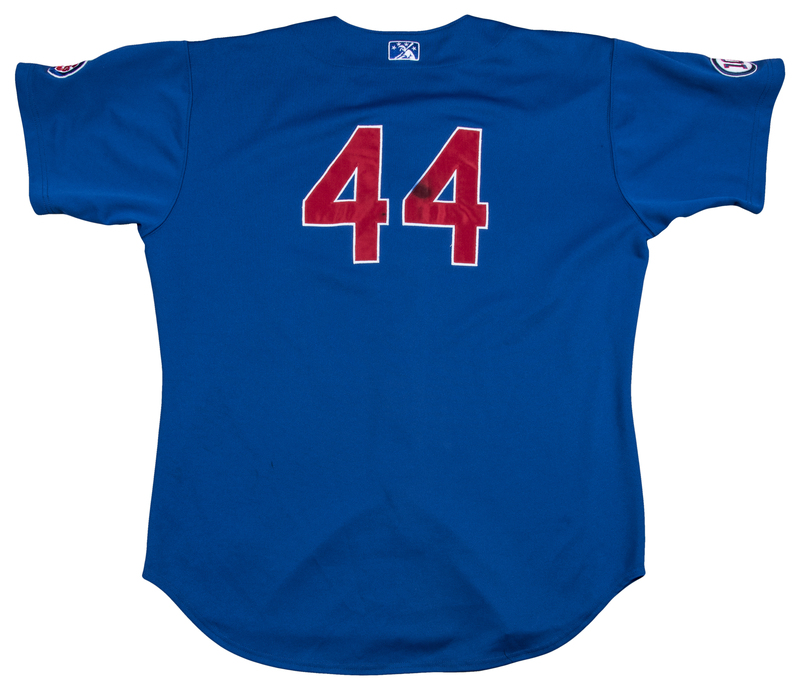 In 2016, Rizzo cemented his status as a Cubs legend by making the clinching putout in the tenth inning of Game 7 of the World Series. 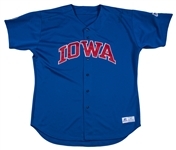 This Iowa Cubs jersey has “IOWA” sewn across the chest in red and white tackle twill. 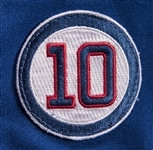 an Iowa Cubs patch is sewn on the left sleeve while a “10” memorial patch for Cubs Hall of Famer Ron Santo is sewn on the right sleeve. 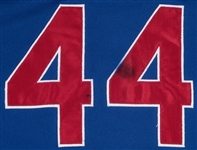 Rizzo’s number “44” and a MiLB logo patch are sewn on the back of the jersey, with the numerals sewn on the jersey in red and white tackle twill. 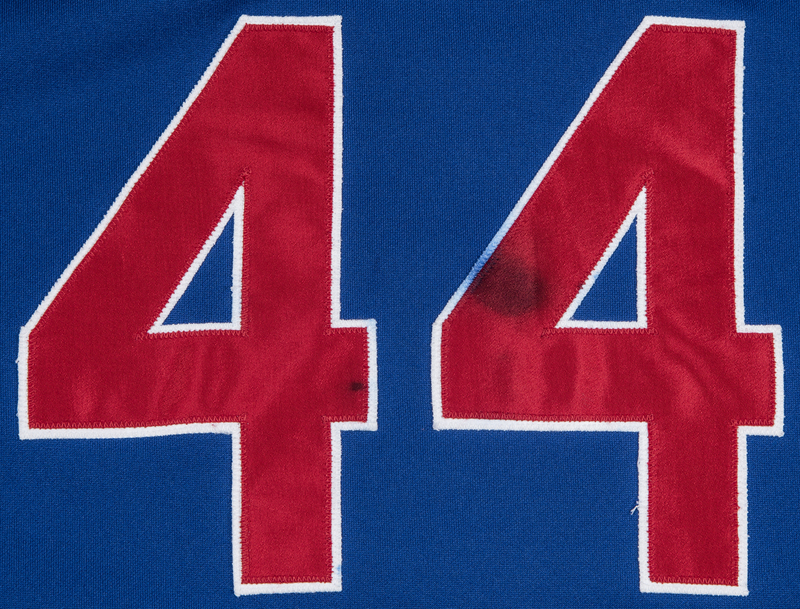 A Russell Athletic size “50” tag is sewn on the front left tail. This jersey comes with a COA from the Iowa Cubs that states this jersey was also worn by Anthony Recker, Blake Parker, Brian Schlitter, Chris Carpenter, and one other player with the surname “Fox”.